Published in: Agardh, J.G. (1852). Species genera et ordines algarum, seu descriptiones succinctae specierum, generum et ordinum, quibus algarum regnum constituitur. Volumis secundi: Algas florideas complectens. Part 2, fasc. 2. pp. 577-700 [701-720, Addenda and Index]. Lundae [Lund]: C.W.K. Gleerup. Type locality: Sri Lanka (Silva, Basson & Moe 1996: 160). Accesses: This record has been accessed by users 9948 times since it was created. Krishnamurthy, V., Venkataraju, P. & Venugopal, R. (1969). An aberrant life-history in Gracilaria edulis (Gmel.) Silva and Gracilaria corticata J. Ag. Curr. Sci. 38: 343-344. Mazumder, S., Ghosal, P.K., Pujol, C.A., Carlucci, M.J., Damonte, D.B. & Ray, B. (2002). 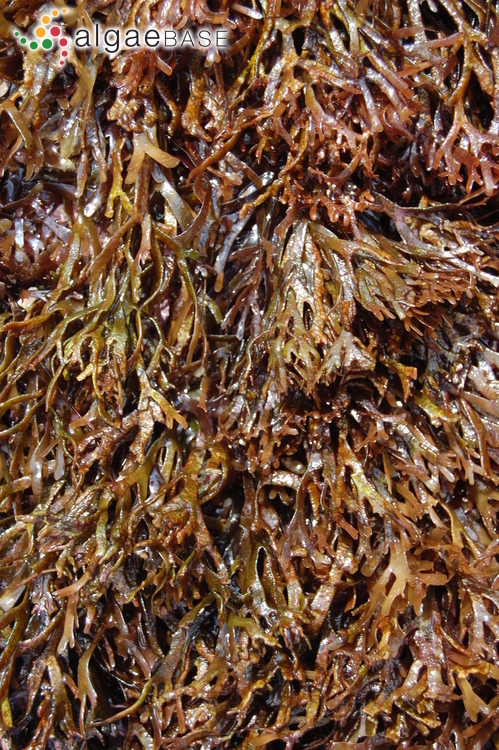 Isolation, chemical investigation and antiviral activity of polysaccharides from Gracilaria corticata (Gracilariaceae, Rhodophyta). Int. J. Biol. Macromol. 31: 87-95. Mshigeni, K.E. & Wevers, I.M. (1979). 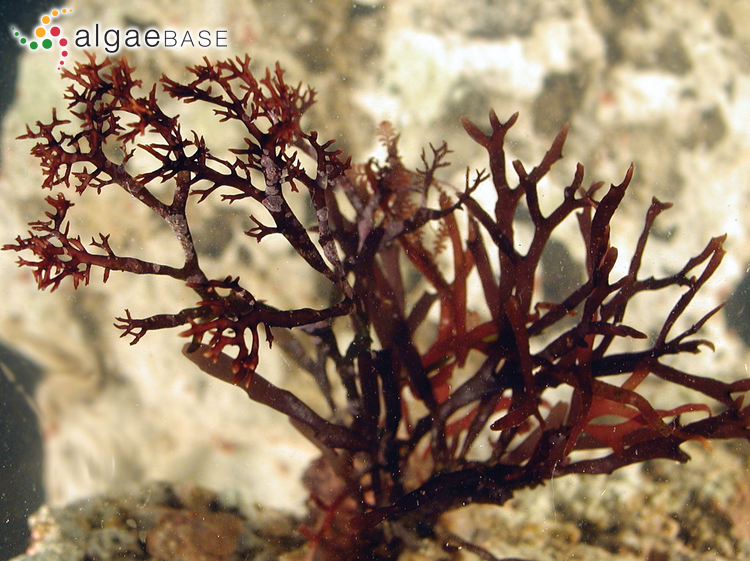 Effects of the environment on the early stages of development in Gracilaria corticata J. Agardh (Rhodophyta, Gigartinales). Nova Hedwigia 31: 479-491, 4 figs, 5 tables. Oza, R.M. (1971). 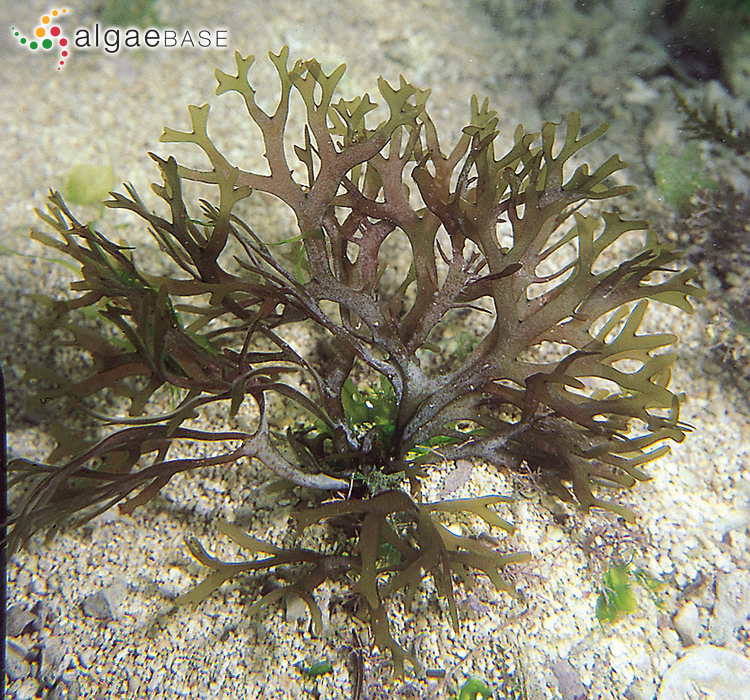 Effect of IAA on the growth of fragments of Gracilaria corticata J. Ag.. Seaweed Research and Utilisation 1: 48-49, 1 table. Oza, R.M. (1974). Studies on ecology, morphology and life history of Gracilaria corticata J. Ag. Salt Research and Industry 10(1): 33-35. Oza, R.M. (1975). Studies on Indian Gracilaria. 1. Carpospore and tetraspore germination and early stages of development in Gracilaria corticata J. Ag. Botanica Marina 18: 199-201, 3 plates. Oza, R.M. (1976). Studies on Indian Gracilaria. II. The development of reproductive structures of Gracilaria corticata. Botanica Marina 19: 107-114, 3 plates [I, 2, III]. Oza, R.M. (1978). Studies on Indian Gracilaria. IV. Seasonal variation in agar and gel strength of Gracilaria corticata J. Ag. occurring on the coast of Veraval. Botanica Marina 21: 165-167, 2 figs, 1 table. Oza, R.M. (1984). Studies on Indian Gracilaria. III. 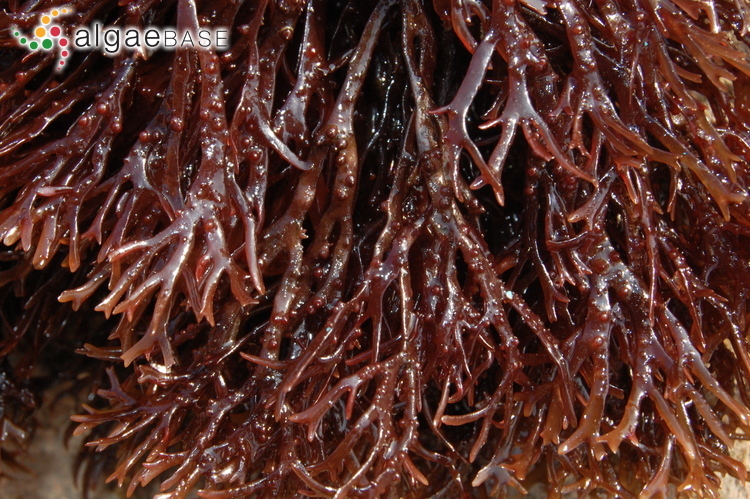 Seasonal variation in growth and reproduction in Gracilaria corticata J. Ag. occurring on the coast of Veraval (Gujarat). Seaweed Research and Utilisation 7: 1-20, 22 figs, 9 tables. Subba Rangaiah, G. (1984). Effect of environmenta factors on germination and growth in Gracilaria corticata J. Agardh. Indian J. Bot. 7(2): 234-239, 3 figs. Subba Rangaiah, G. (1983). Seasonal growth, reproduction and spore shedding in Gracilaria corticata J. Agardh of the Visakhapatnam coast. Proc. Indian natn. Sci. Acad. B49(6): 711-718, 5 figs, 1 table. Subba Rangaiah, G., Umamaheswara Rao, M. & Rao, B.G.S. (1975). Effect of salinity on spore shedding in Gracilaria corticata. Curr. Sci. 44(19): 717-718, 1 fig..
Subbaraju, D.P., Ramakrishna, T. & Murthy, M.S. (1981). Effects of some growth regulators on Gracilaria corticata, an agarophyte. Aquatic Botany 10: 75-80. Yousefi, M.K., Islami, H.R. & Filizadeh, Y. (2013). Effect of extraction process on agar properties of Gracilaria corticata (Rhodophyta) collected from the Persian Gulf. Phycologia 52(6): 481-487.